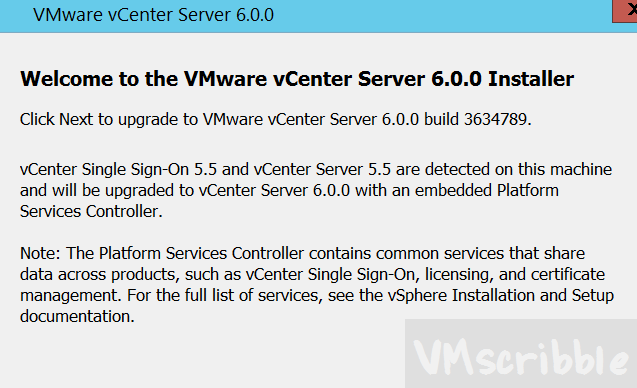 Note – Even though the new 6.0 and existing/upgraded 5.5 VC’s have vpshere.local as the SSO domain name, they are NOT on the same SSO domain. It is tricky. 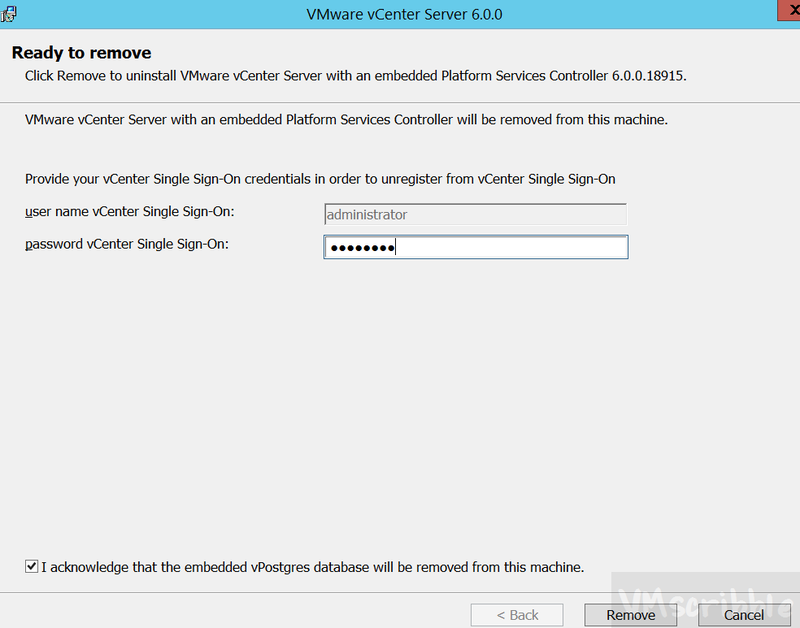 You will lose tags, custom VC roles and user permissions for all objects (even at the root VC level.. You will have to re-join to AD. 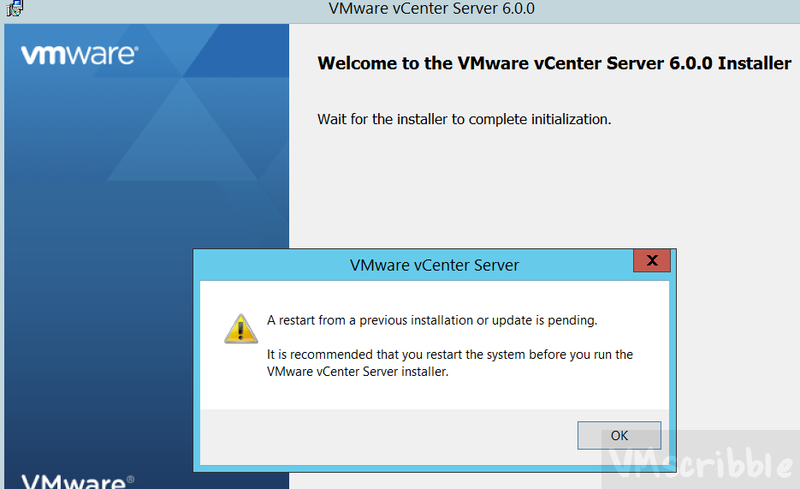 During the windows 5.5 upgrade you CAN NOT pick the existing external 6.0 PSC. 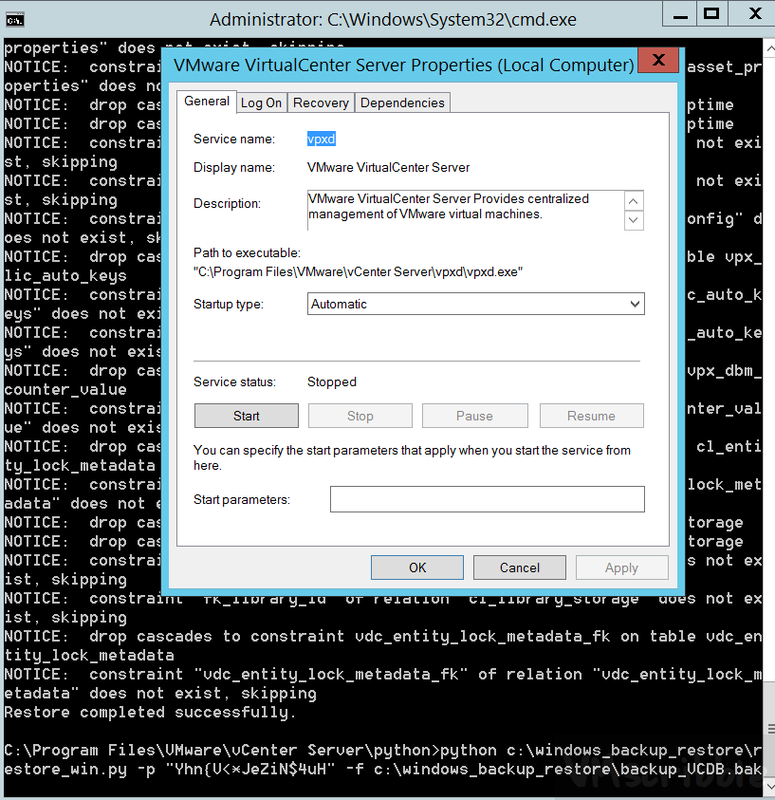 On the windows VC and am ready to break apart the embedded PSC and point to the exteral PSC. 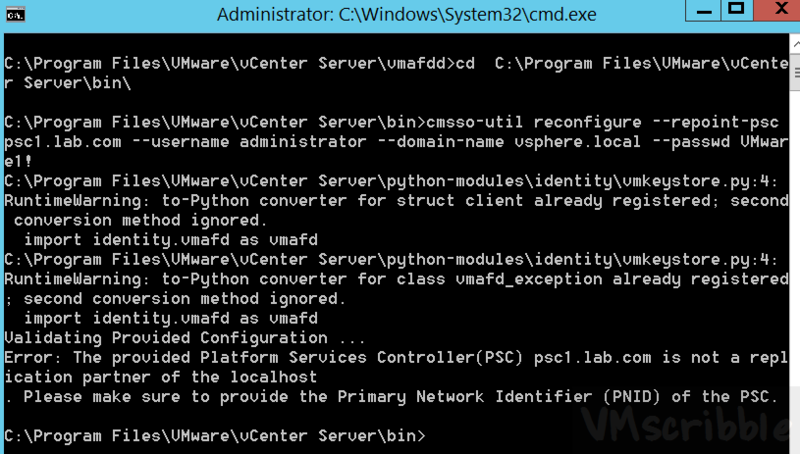 cmsso-util reconfigure –repoint-psc psc1.lab.com –username administrator –domain-name vsphere.local –passwd VMware1! ; second conversion method ignored. 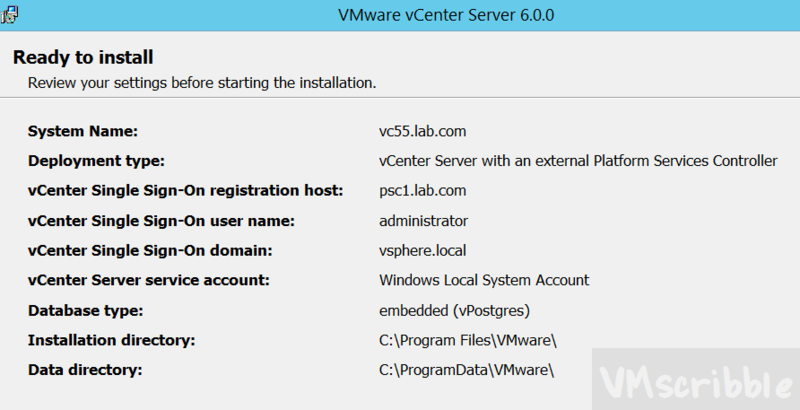 Error: The provided Platform Services Controller(PSC) psc1.lab.com is not a replication partner of the localhost. 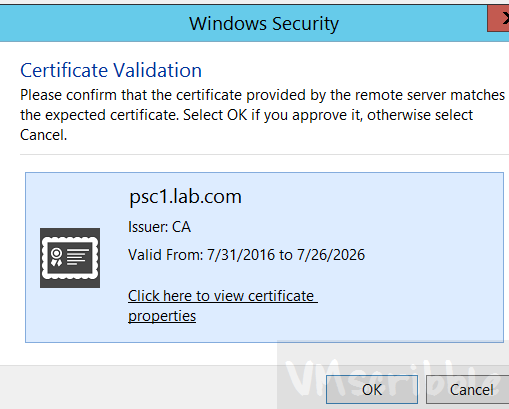 Please make sure to provide the Primary Network Identifier (PNID) of the PSC. 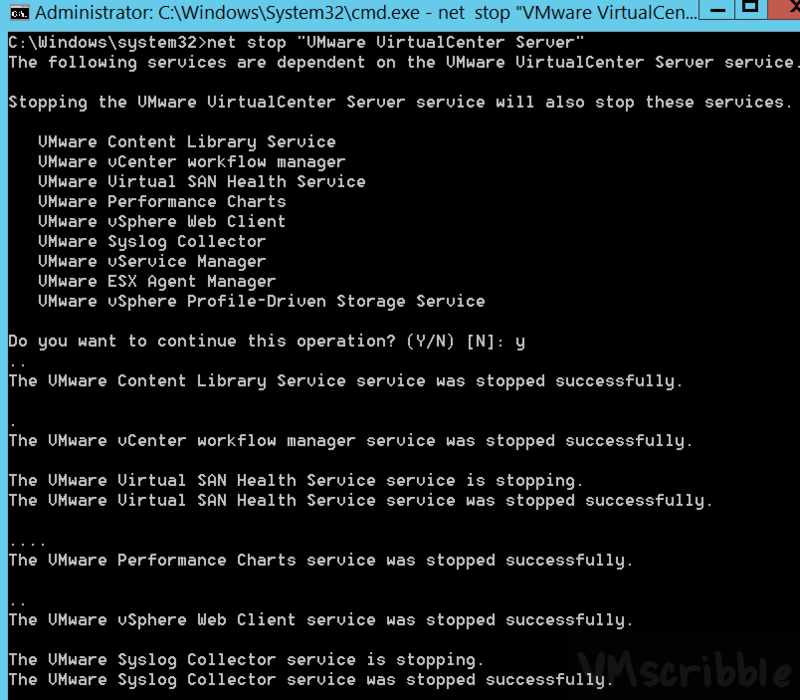 Shut down and take a snapshot while powered off of the windows VC VM. 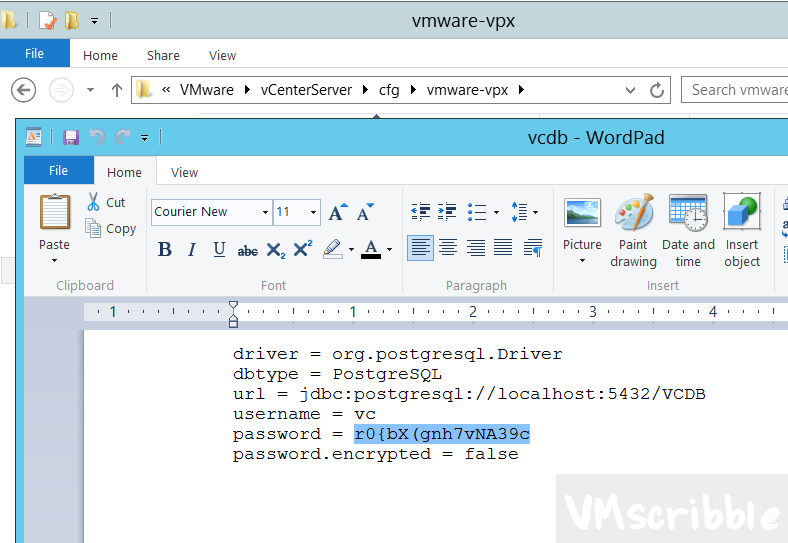 Open C:ProgramDataVMwarevCenterServercfgvmware-vpx vcdb.properties and copy the password to a new text file. I kept the same FQDN. I am not using IPV6. Local account and embedded database. 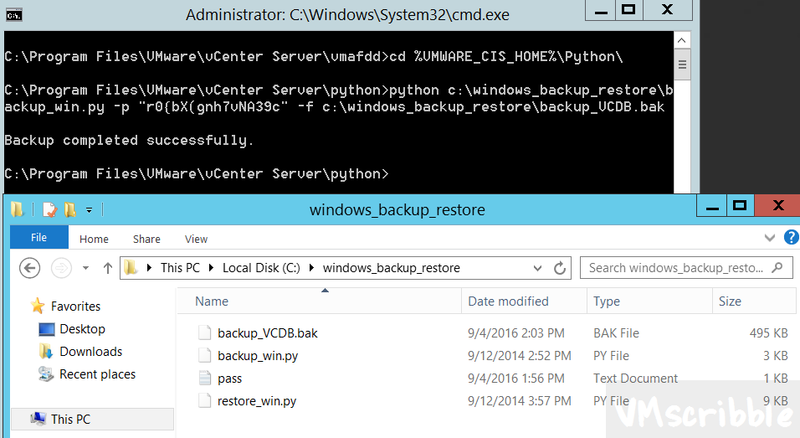 Here is a before and after screen capture. You can see my test role is gone. 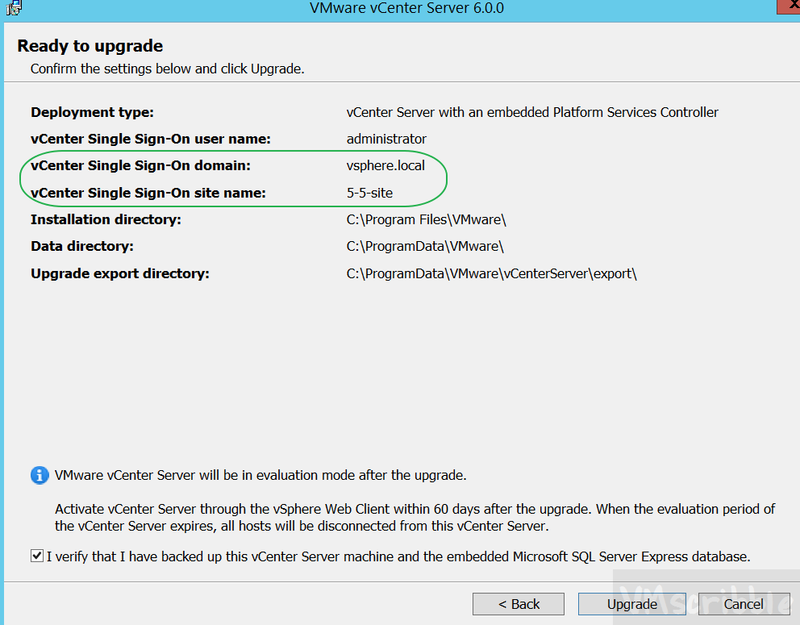 So is the SQL user I had at the root VC level and cluster level. 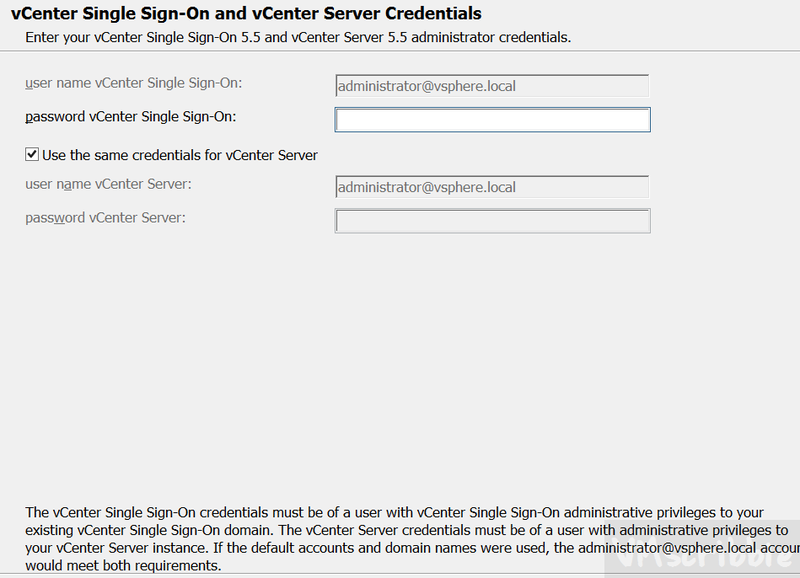 In the web client, click Home, System Configuration. You will see the external PSC. 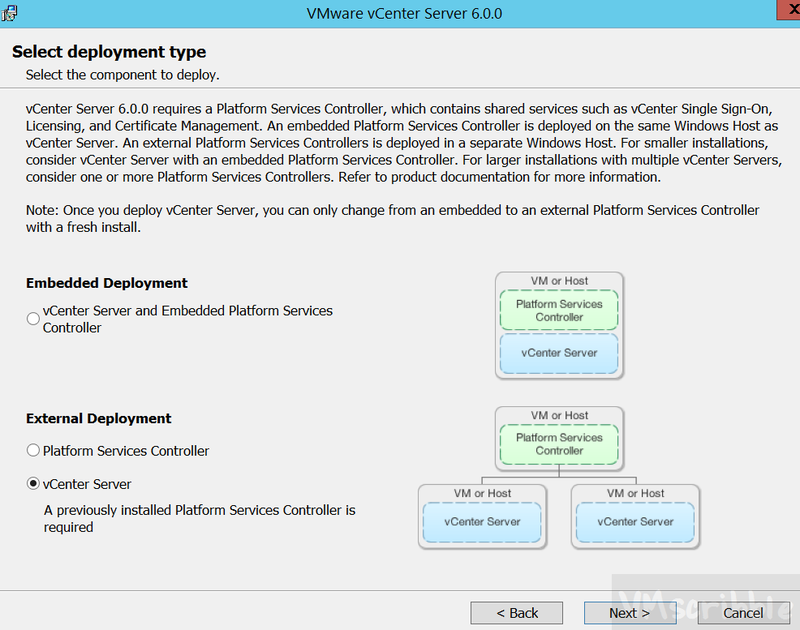 You can also validate the ext psc by going to the root VC object / Manage / Settings / Advanced and search for sso The following 3 keys will noted the ext psc. 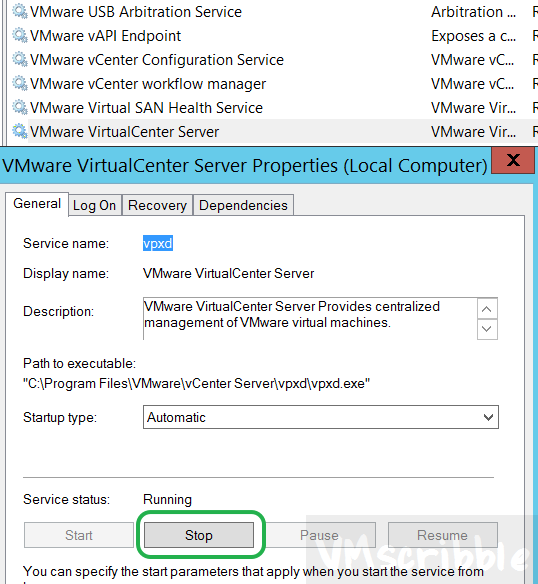 Reboot the windows VC VM, validate and remove the snapshot.